The Defense Advanced Research Projects Agency has chosen Synopsys to develop a technology to emulate system-on-chips as part of DARPA’s Electronics Resurgence Initiative. Synopsys said Wednesday it will collaborate with Lockheed Martin and Analog Devices on the Posh Open Source Hardware program that aims to improve the quality of mixed-signal SoC platforms intended for defense and aerospace use. DARPA seeks to establish a foundation of intellectual property building blocks through the POSH project. The agency noted that ERI will focus on addressing specialized hardware applications that include emulation, artificial intelligence, photonics and security. 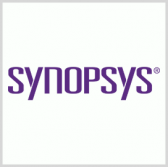 Synopsys and its partners will use the company’s ZeBu Server emulator in efforts to host a converged platform designed to verify analog and digital IP cores and SoCs.